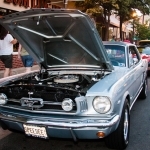 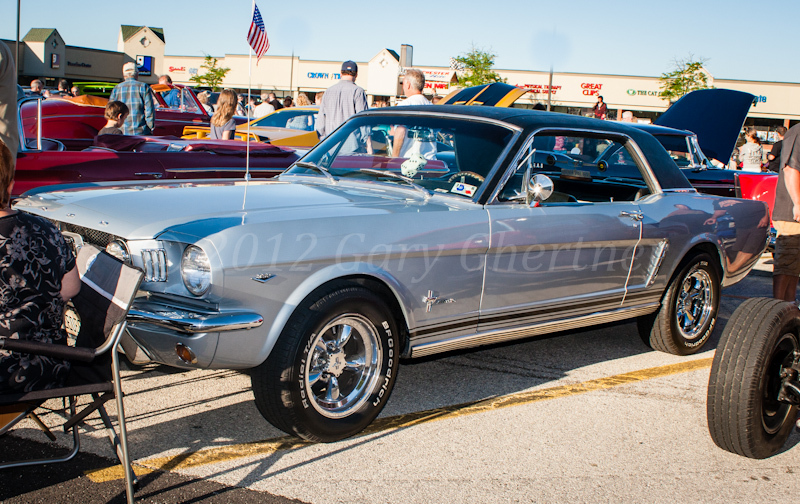 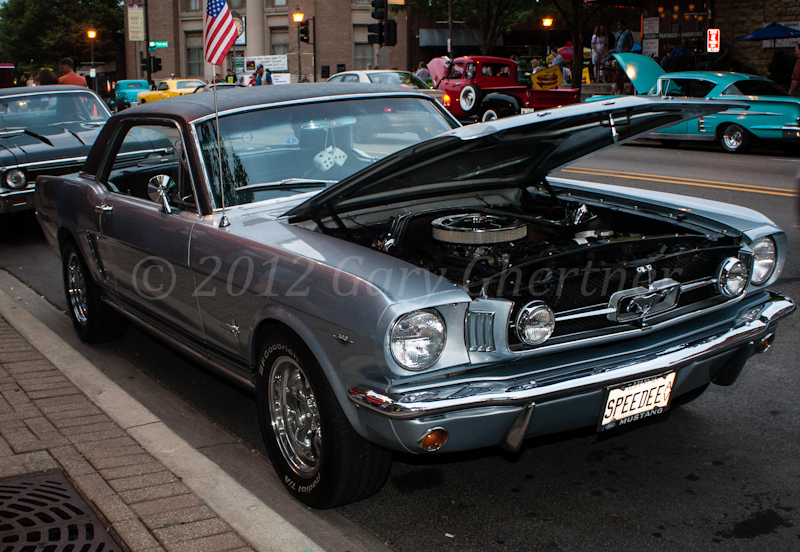 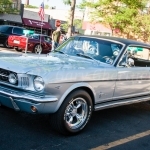 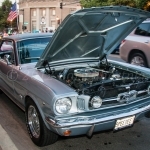 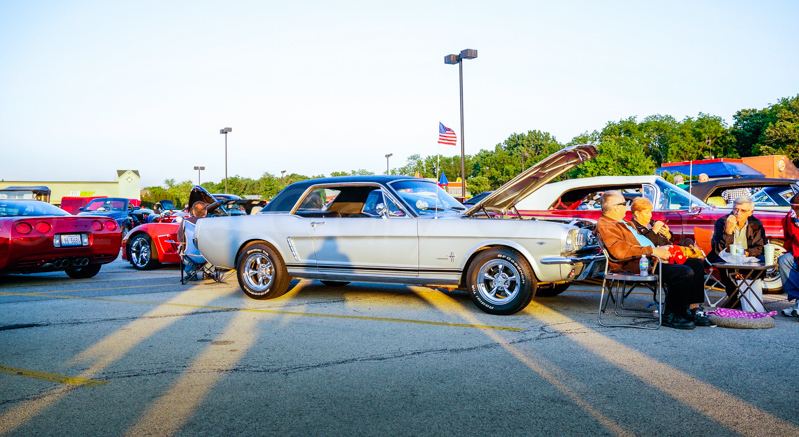 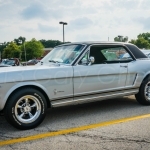 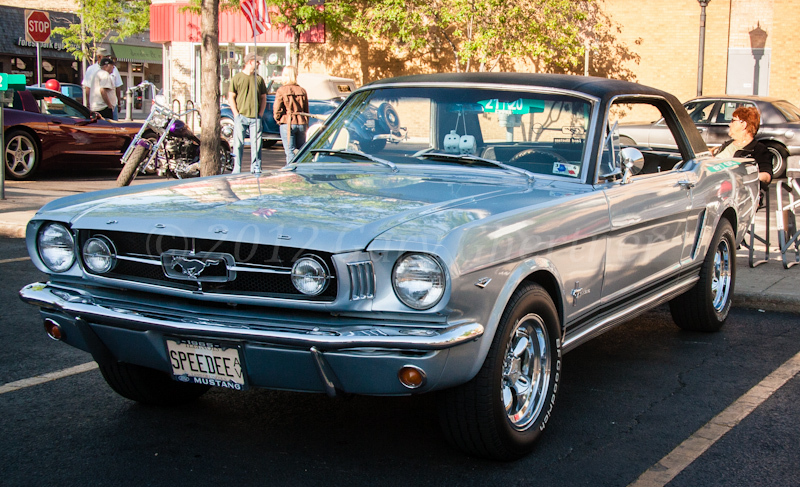 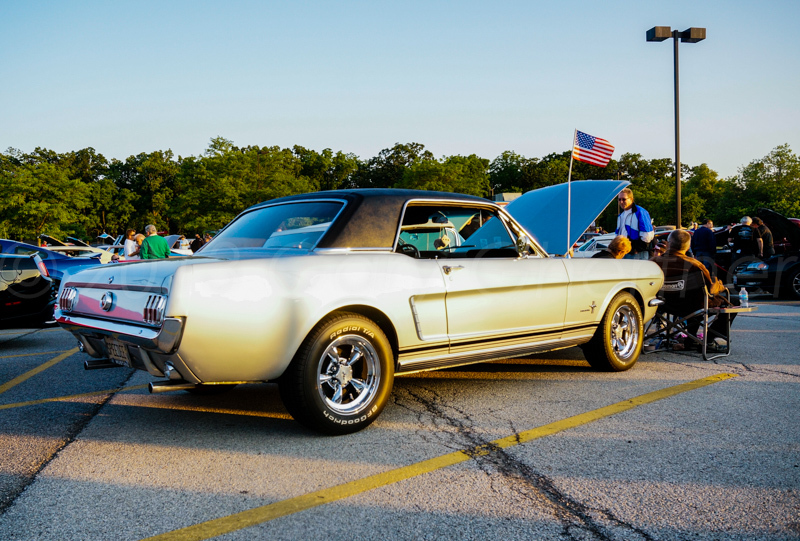 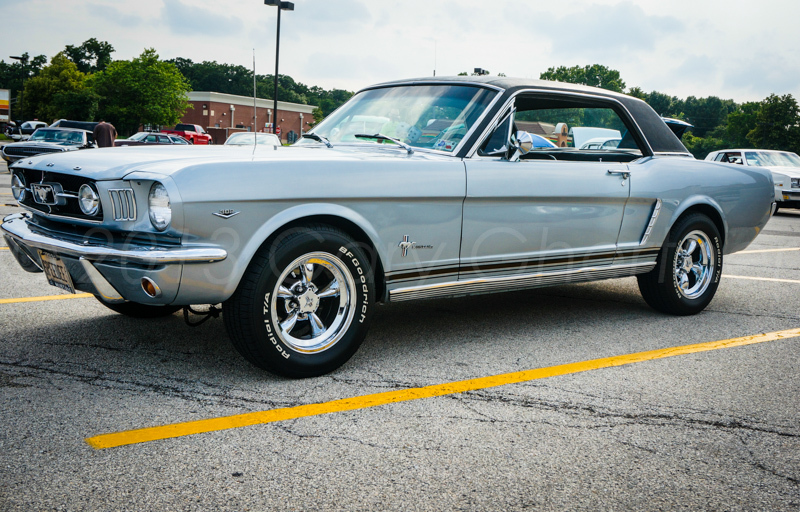 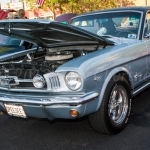 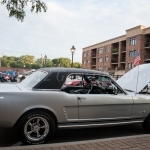 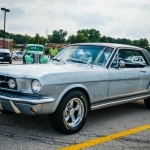 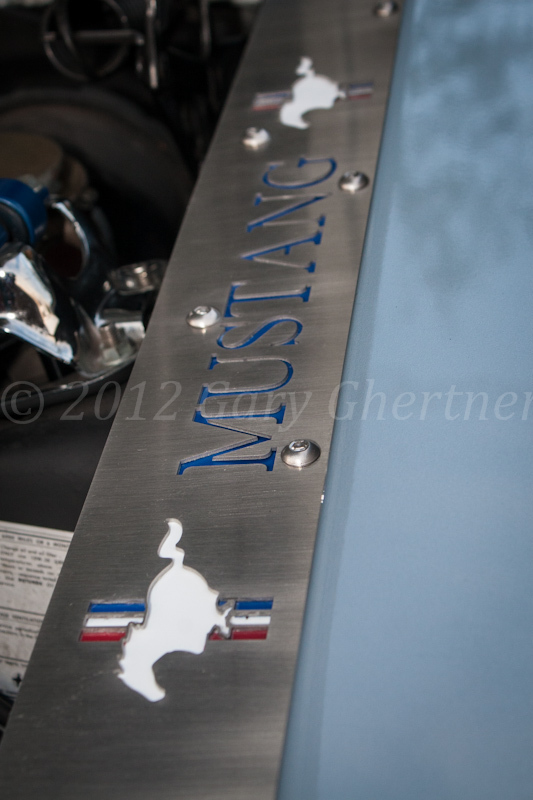 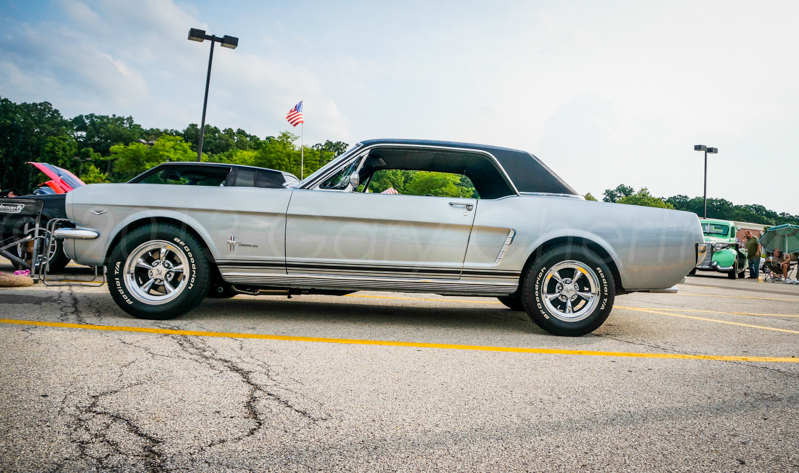 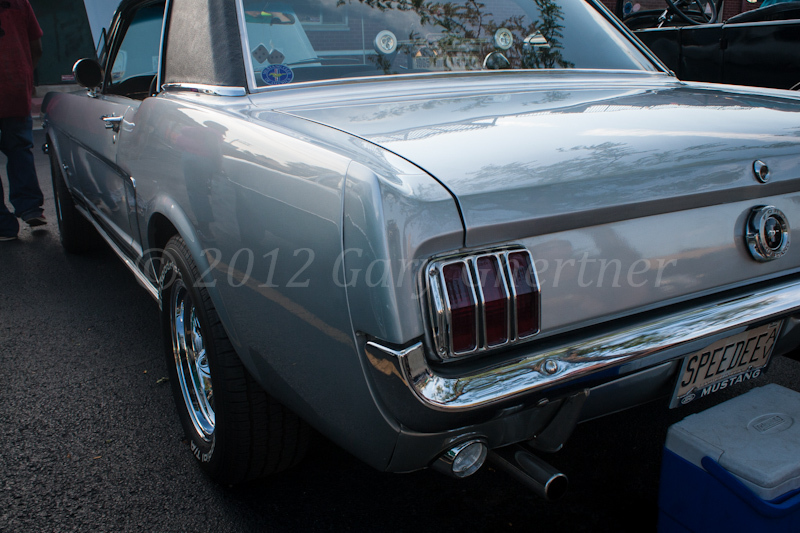 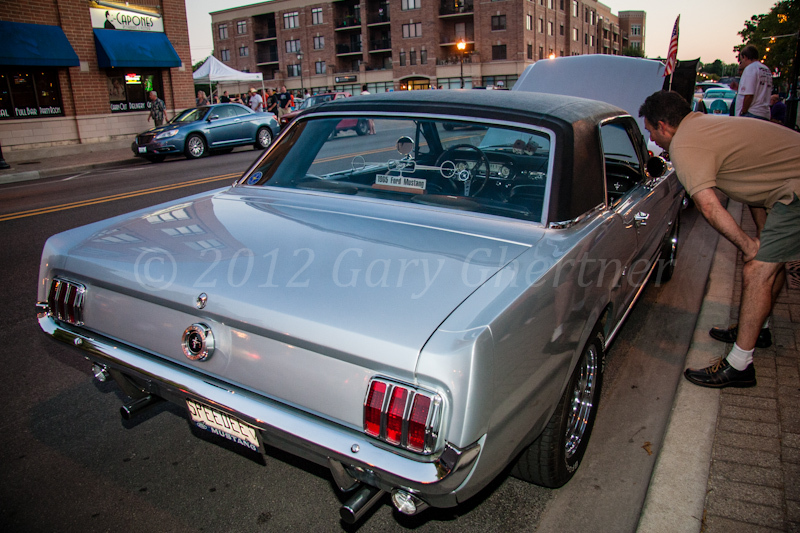 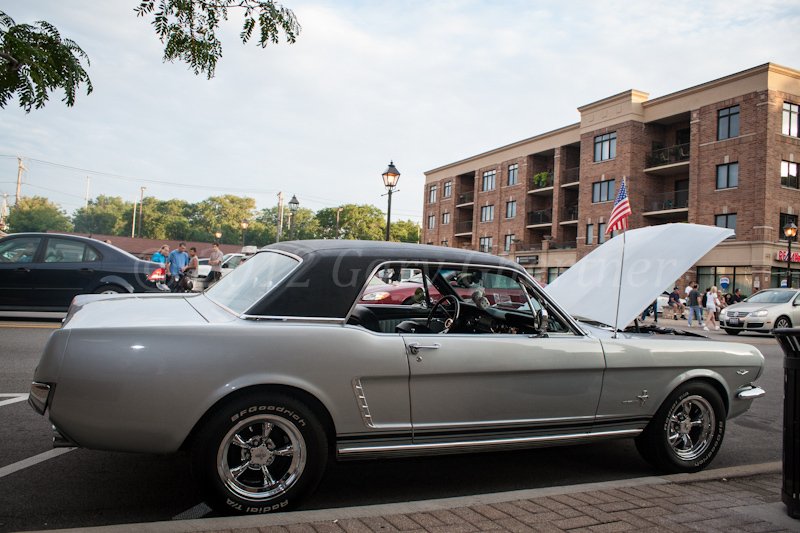 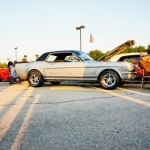 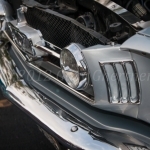 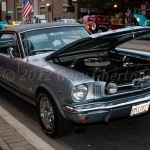 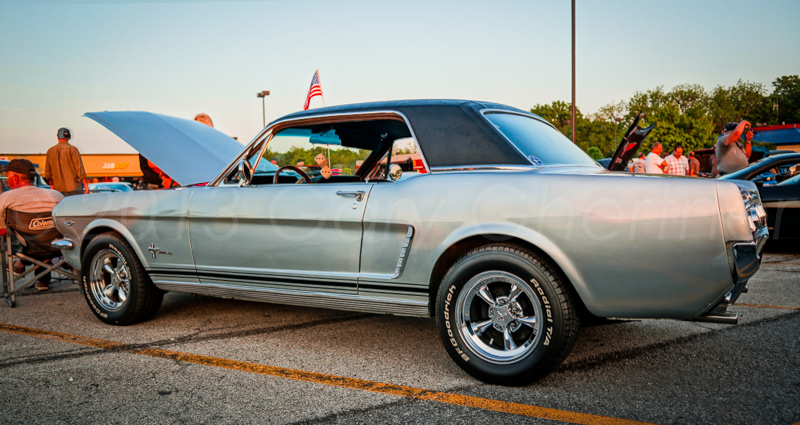 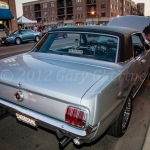 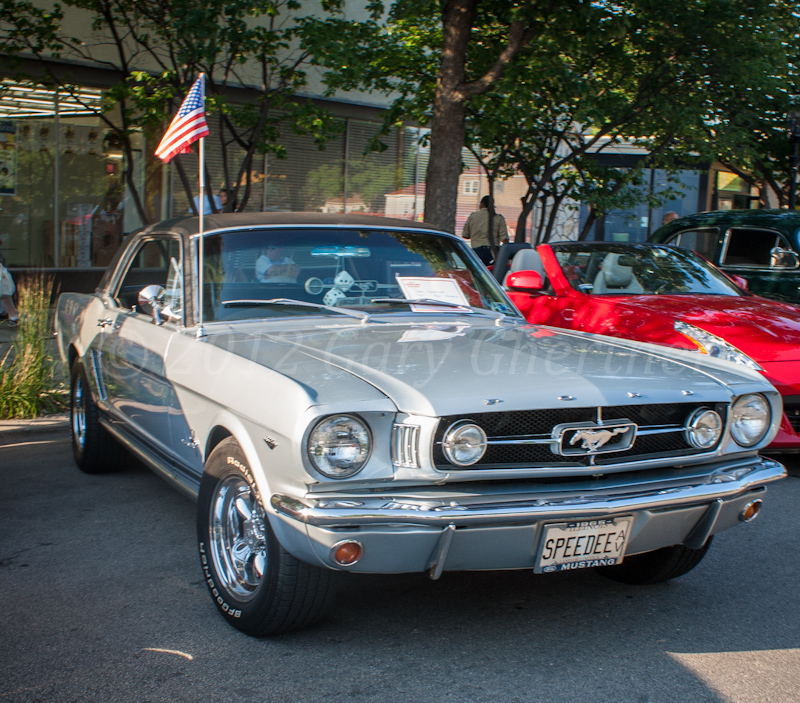 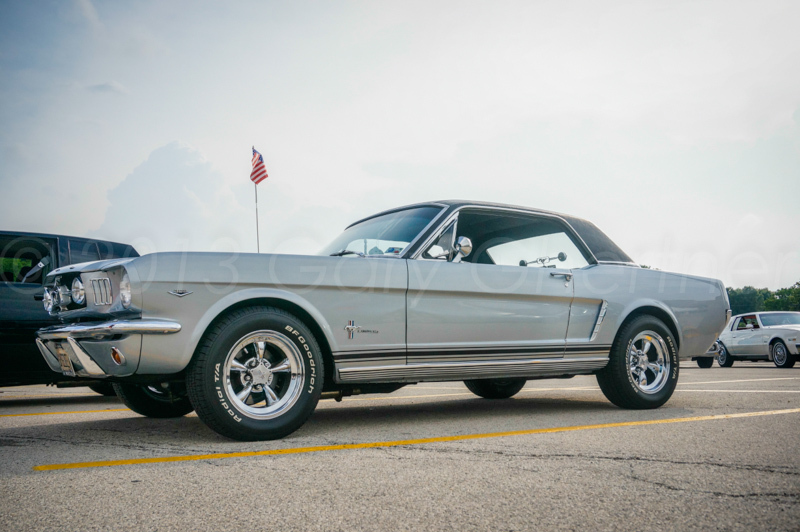 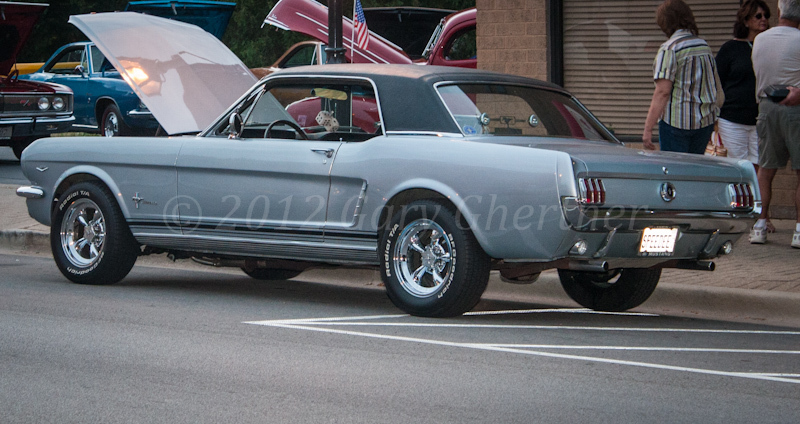 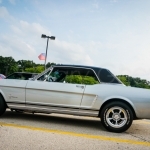 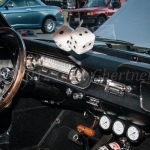 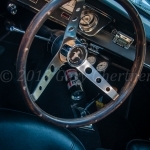 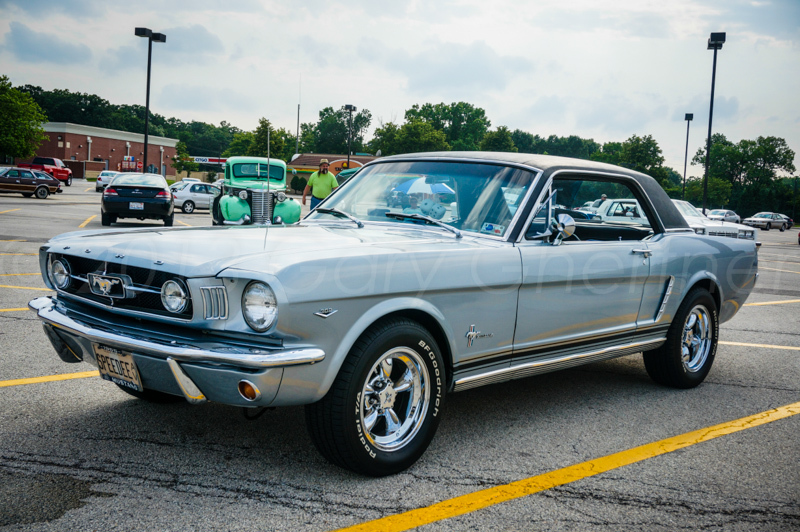 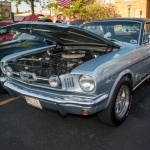 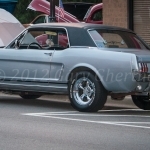 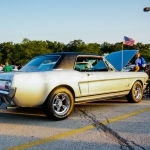 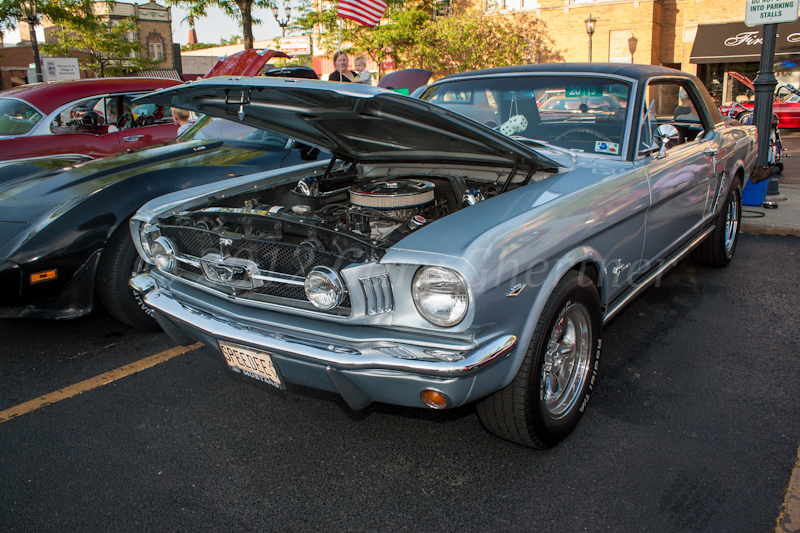 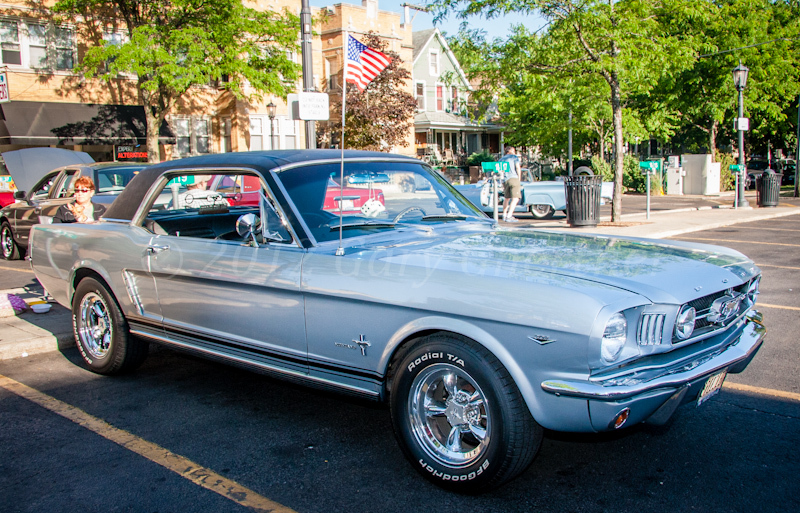 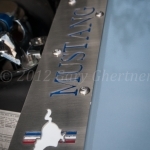 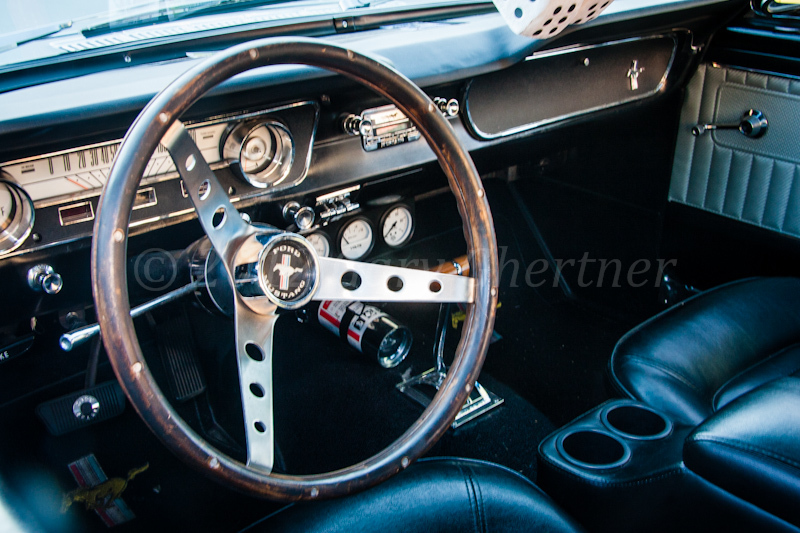 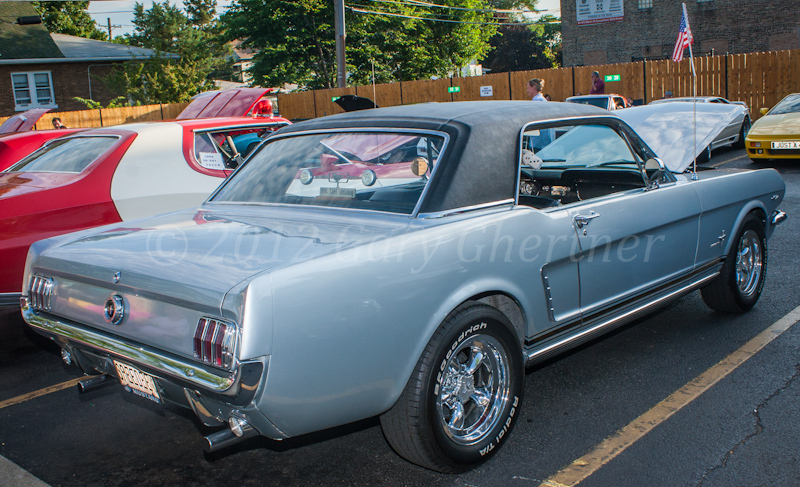 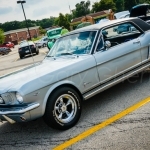 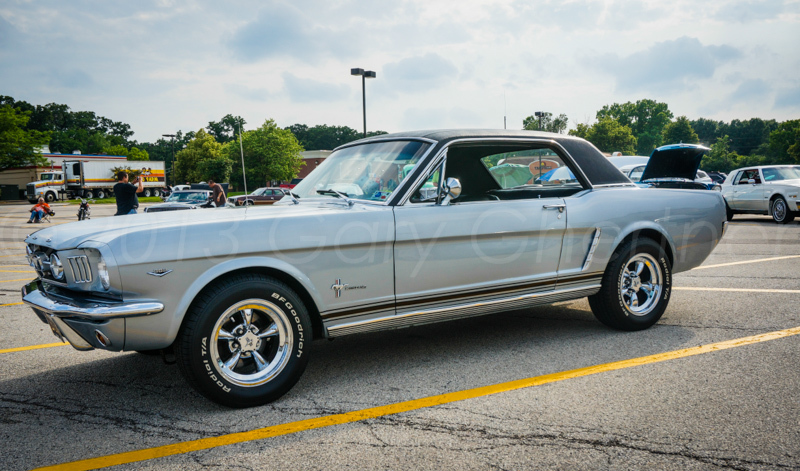 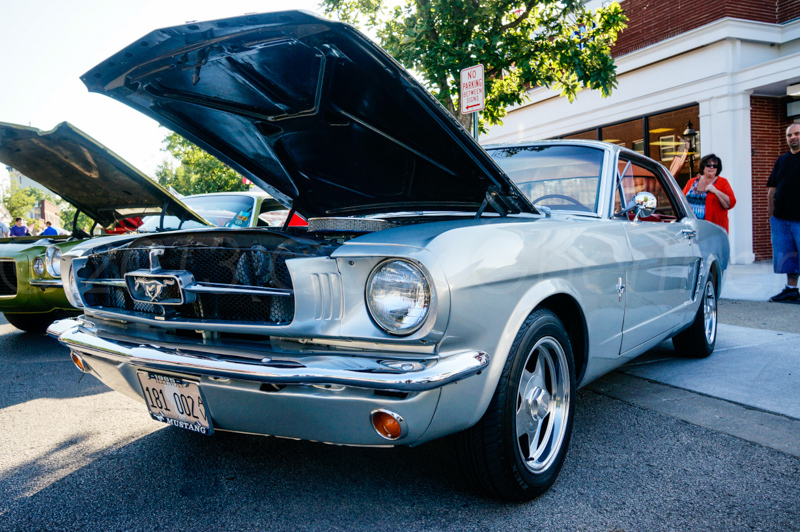 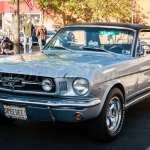 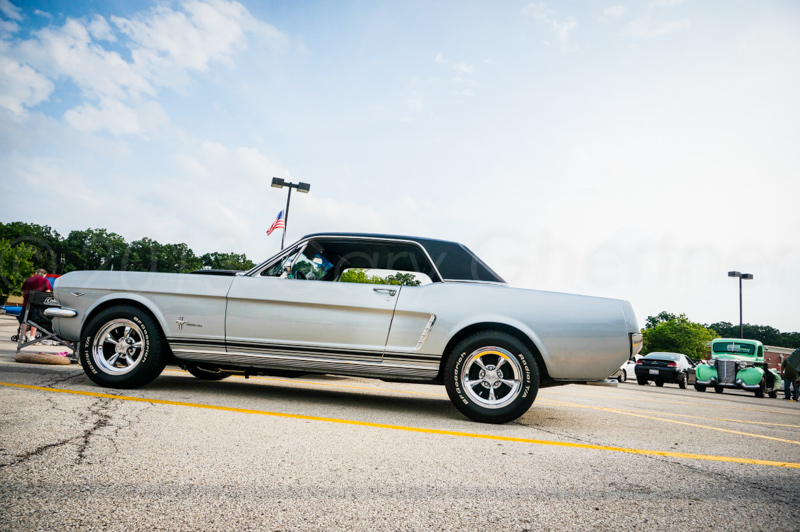 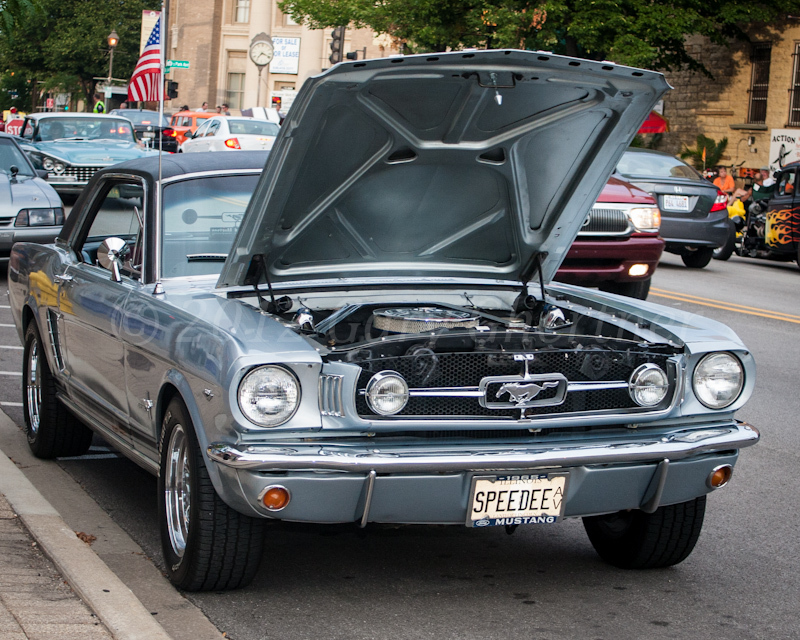 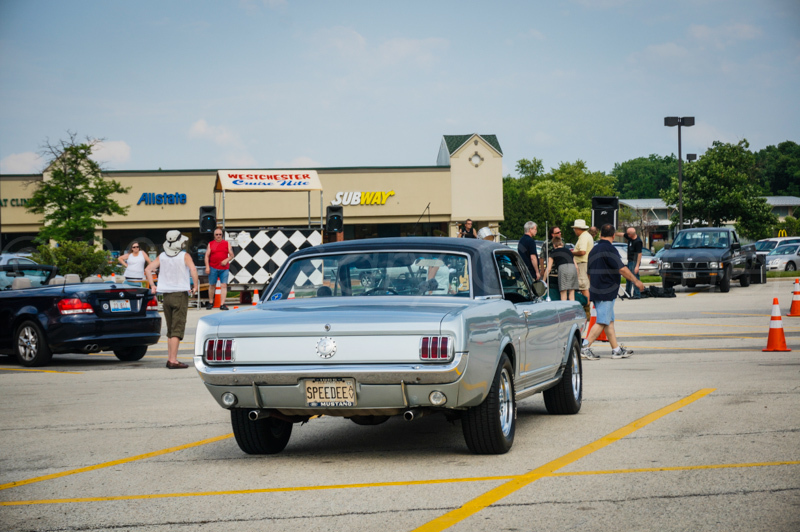 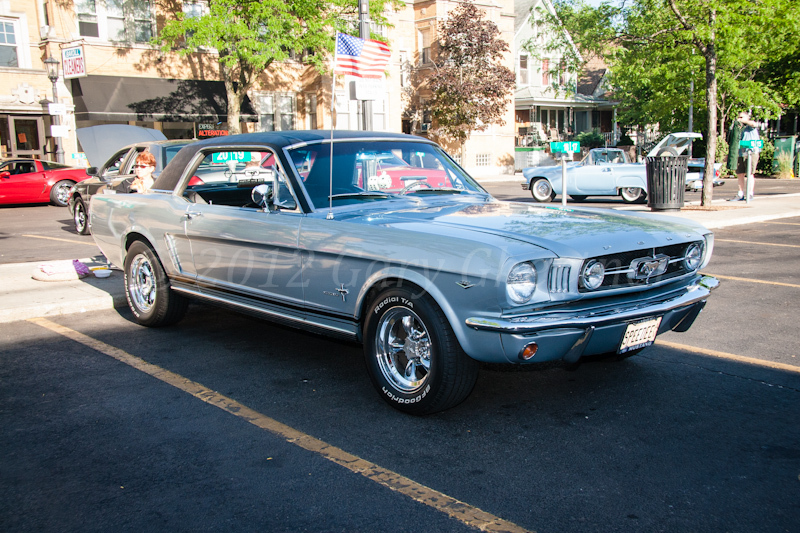 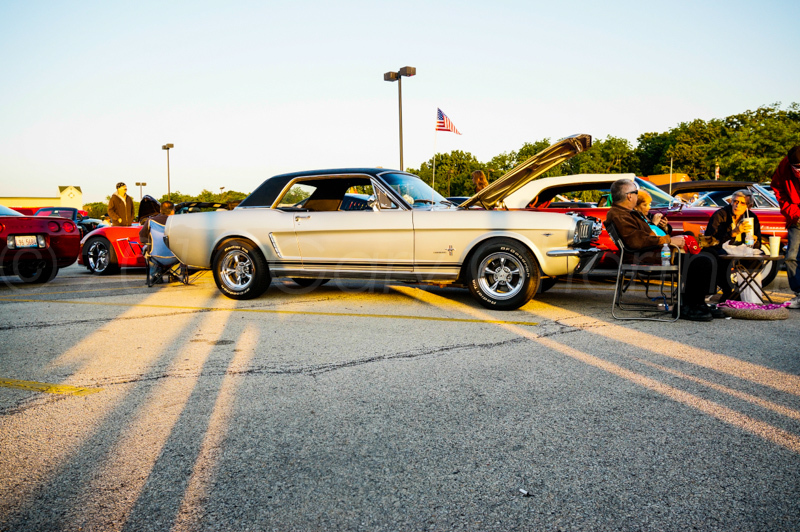 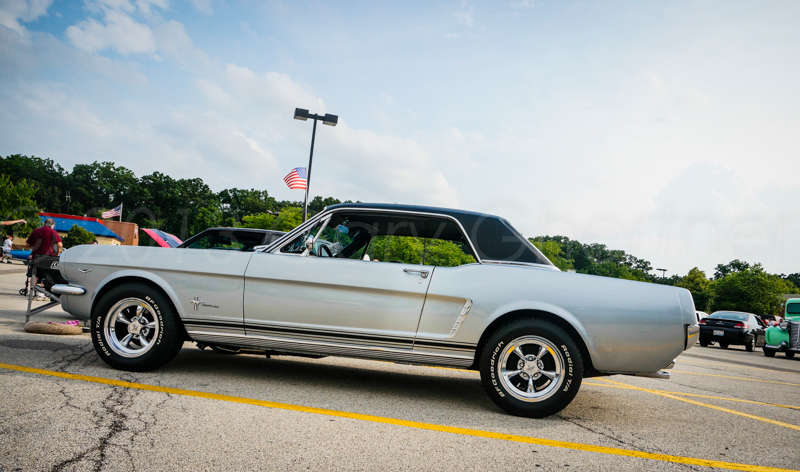 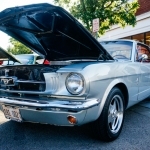 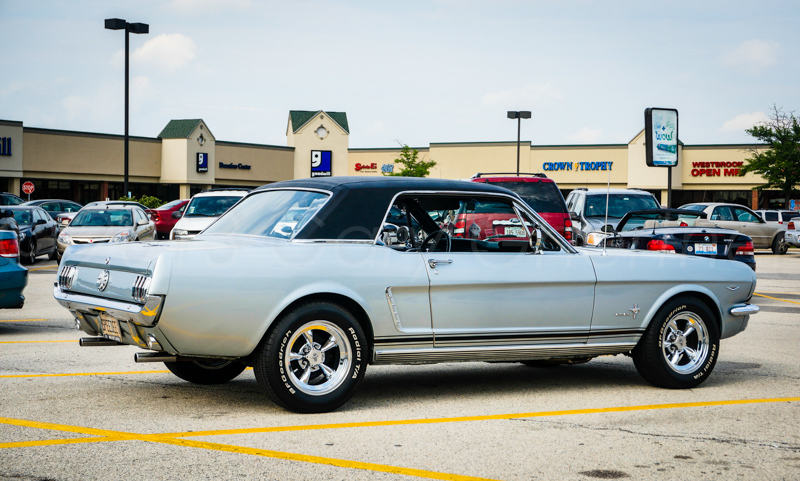 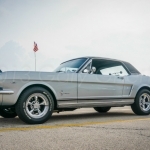 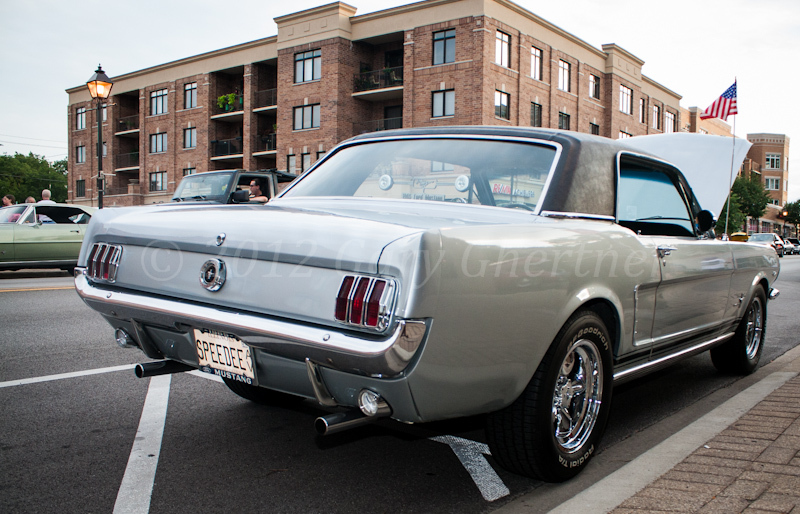 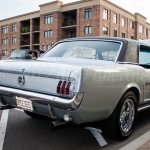 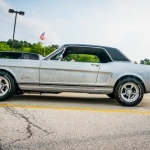 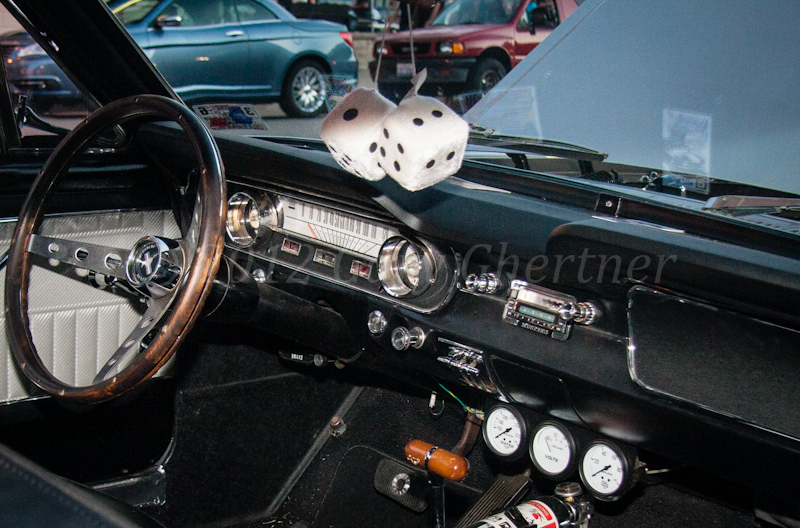 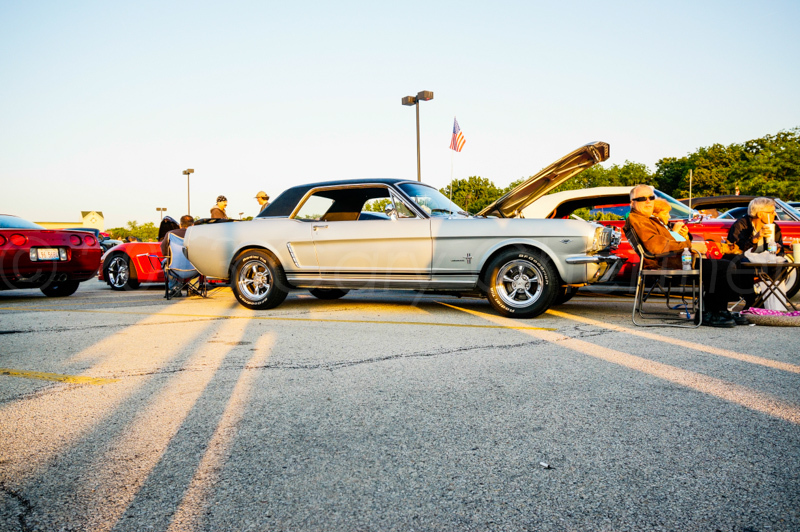 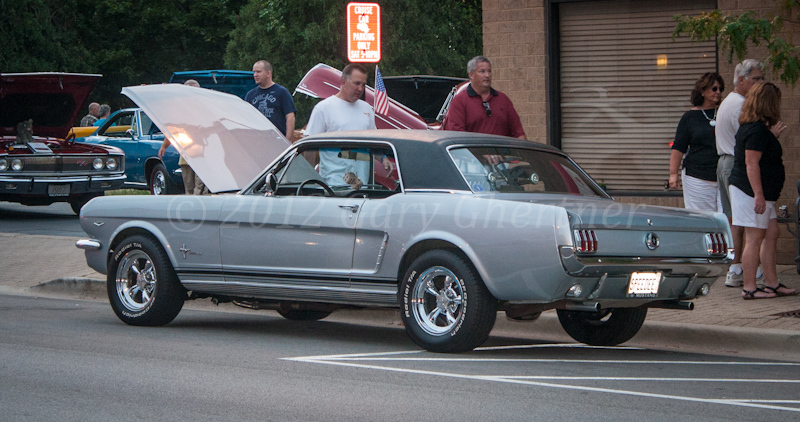 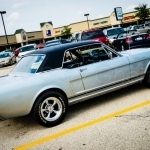 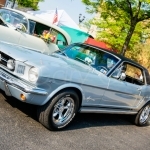 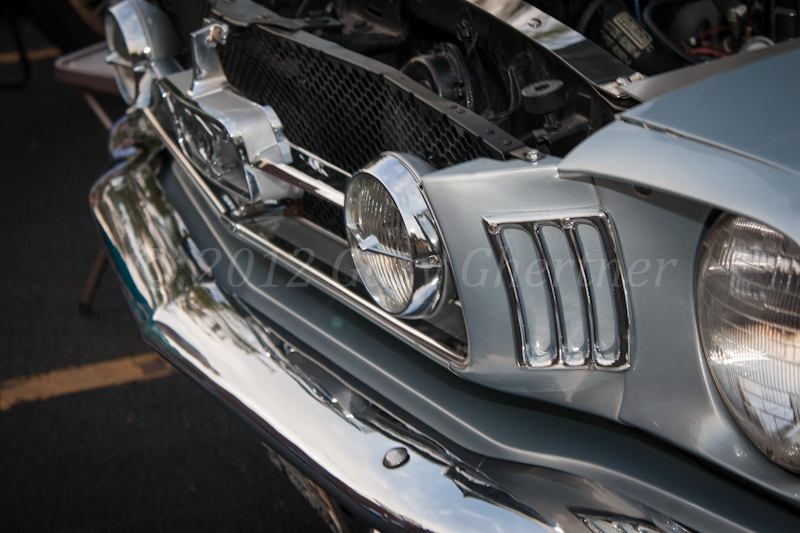 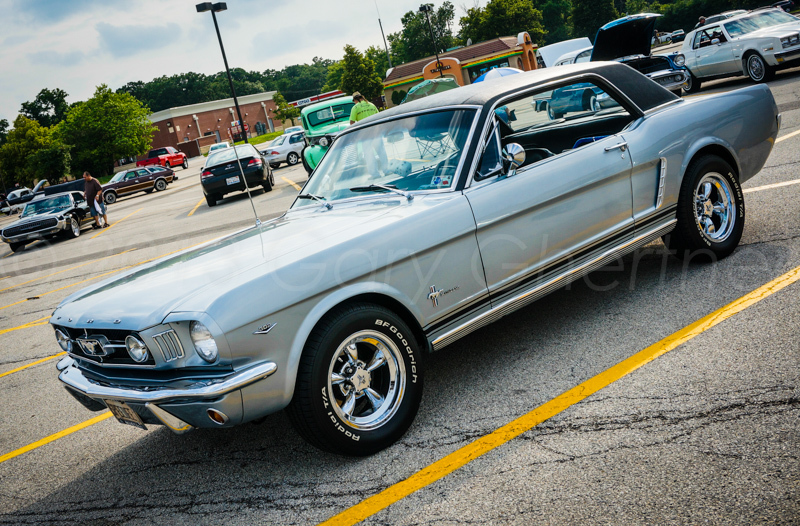 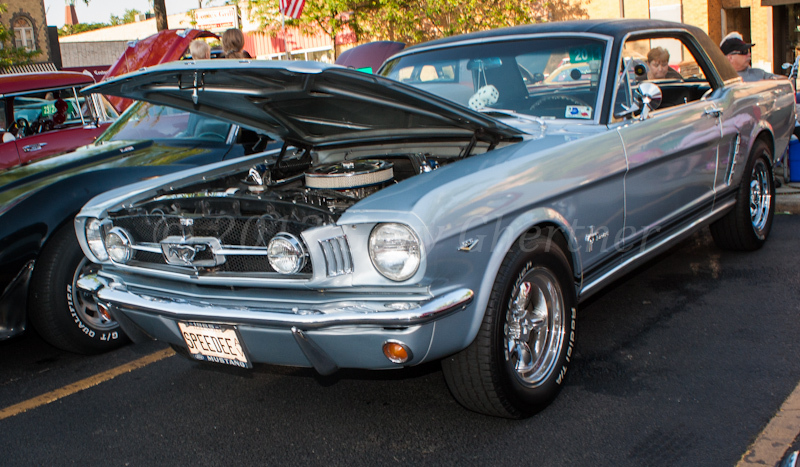 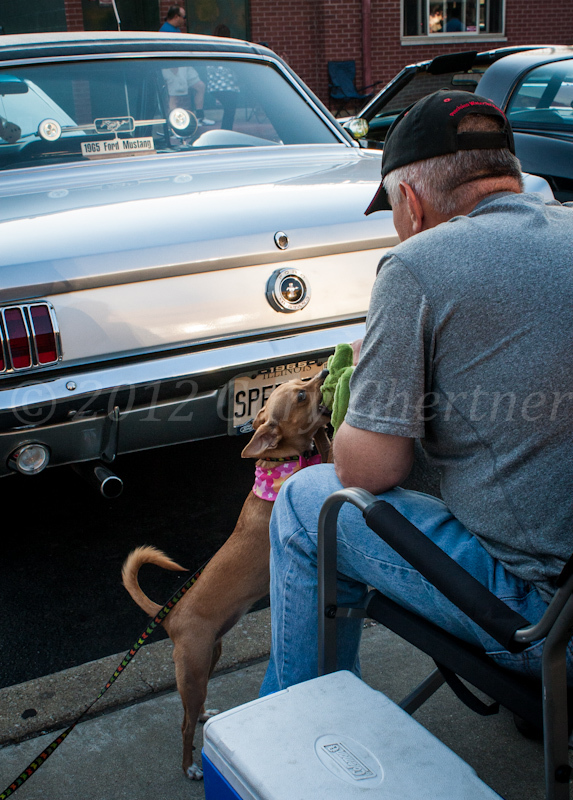 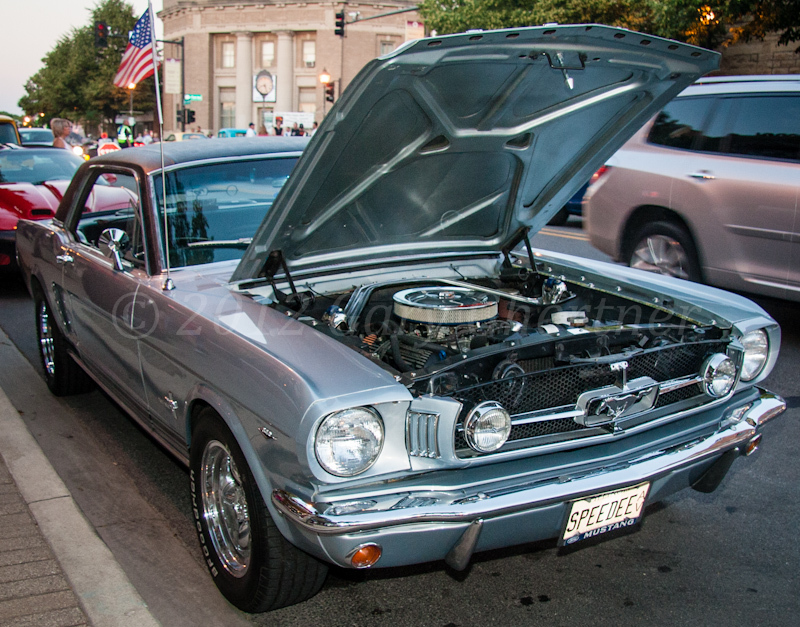 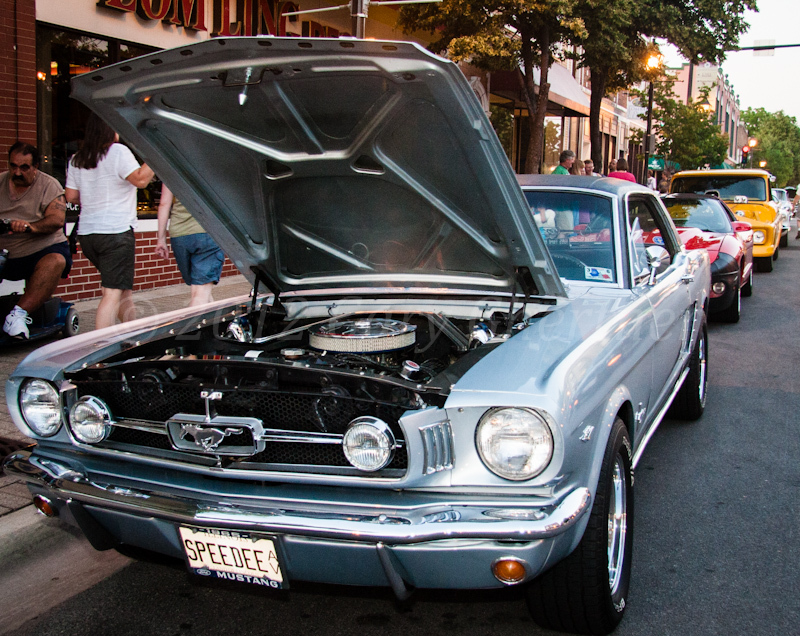 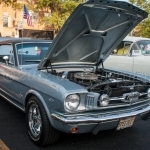 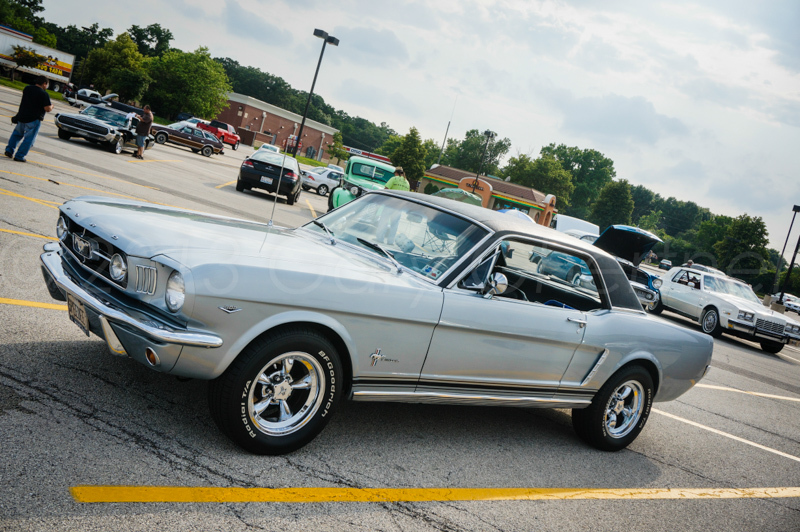 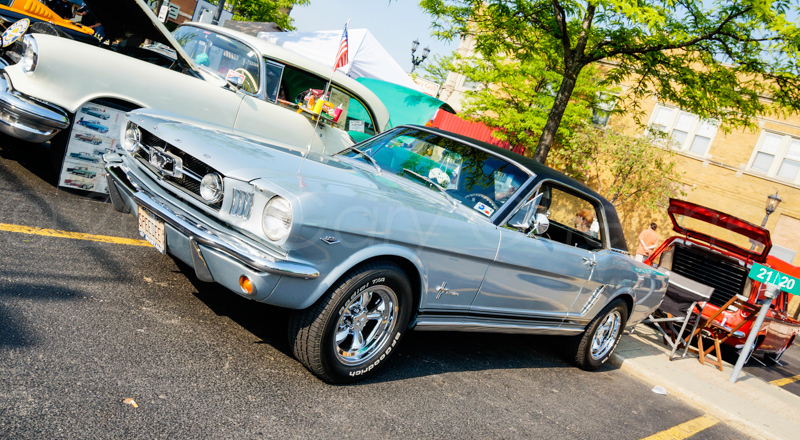 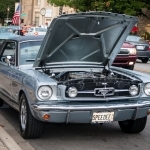 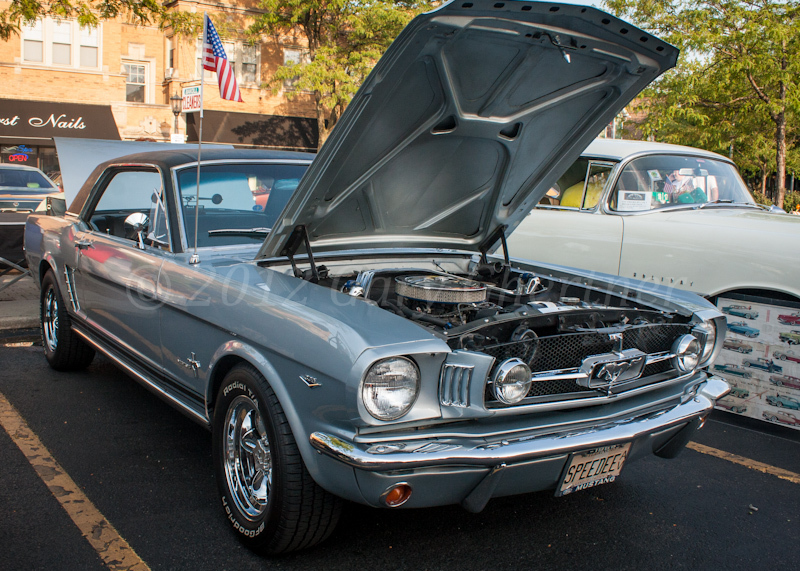 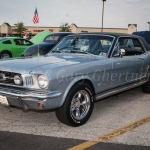 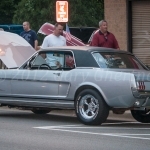 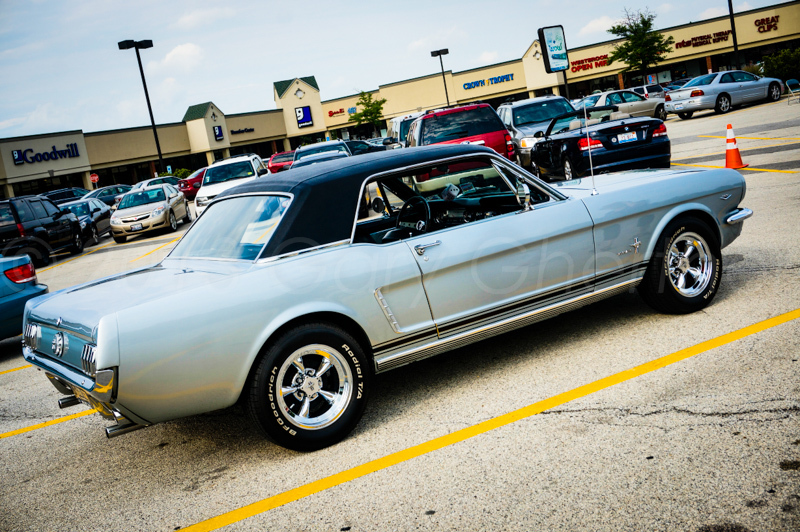 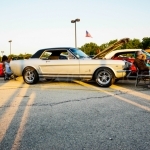 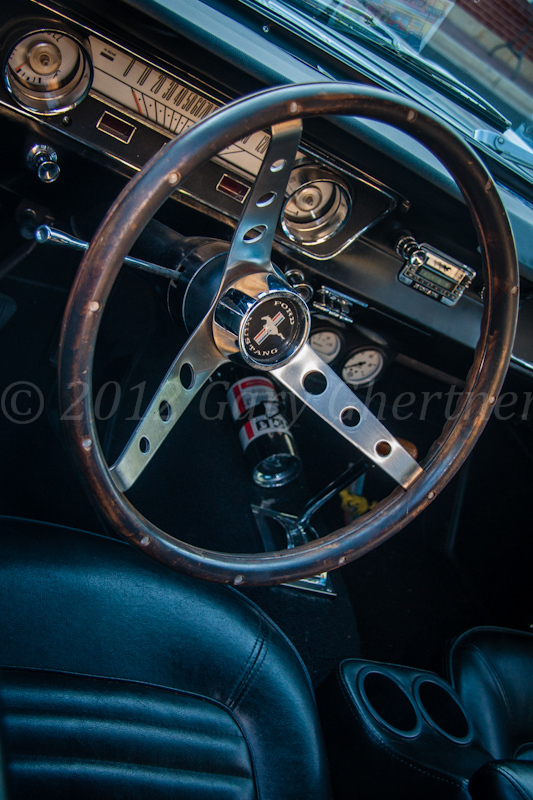 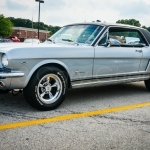 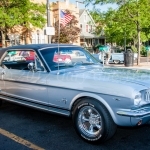 Jim and Carol bring their silver 1965 Ford Mustang to Forest Park, Westchester andRiverside. 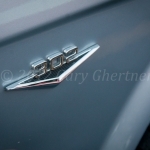 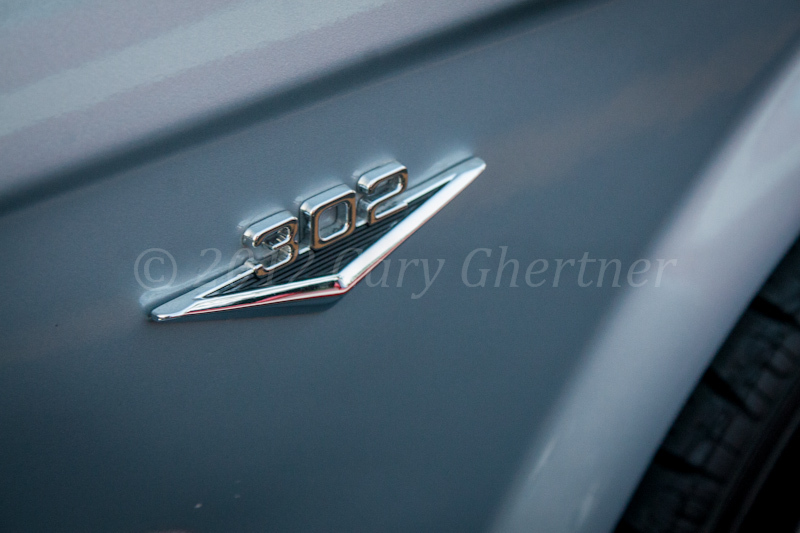 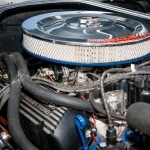 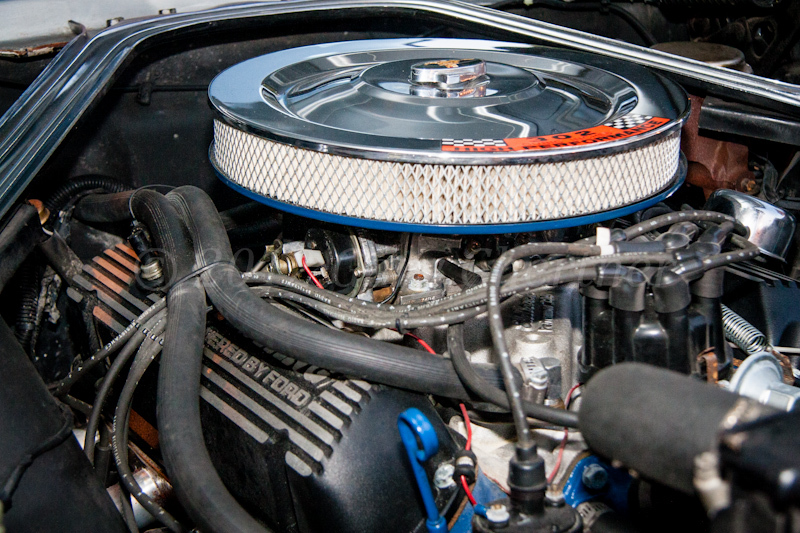 The 302 (cubic inch) emblem first caught my eye and that was not the engine size for the original 1965’s; a 302 was added later. 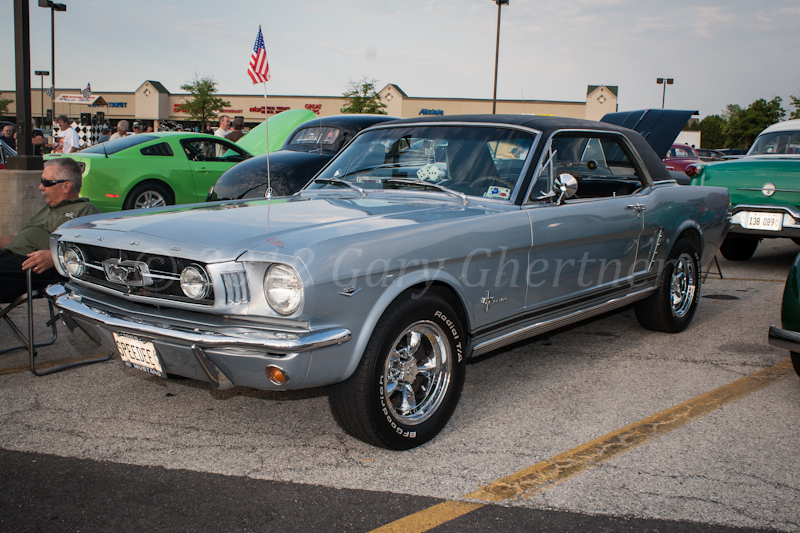 Jim’s first car was a 1965 Mustang but shortly after having bought it, he was drafted into the Army so it was sold. 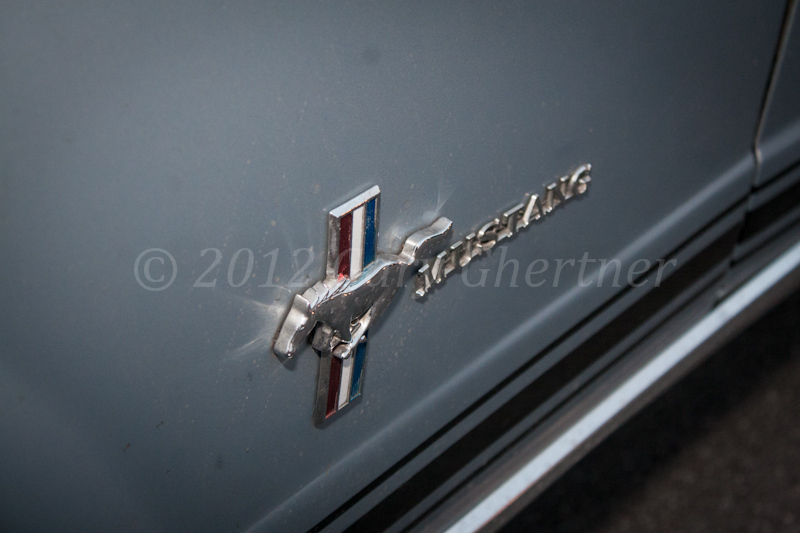 That first car was ‘Vintage Burgandy’ and this vehicle was shipped from the factory in that same color! 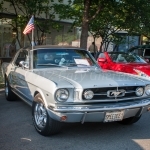 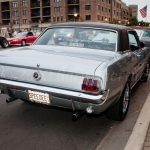 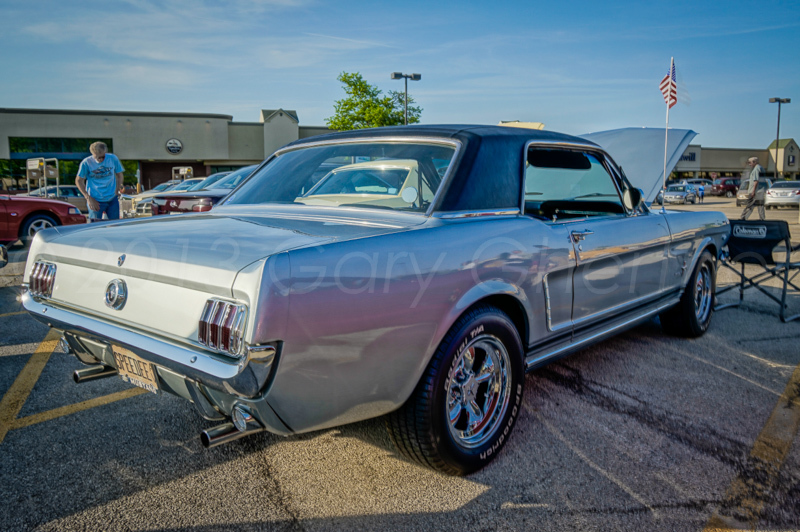 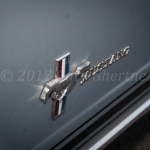 The base price of the original Mustang was $ 52 less than this automobile so this one was sold later in the model year. 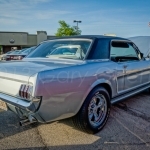 Jim’s son bought this car off of eBay in Texas about seven years ago; but he wanted a car with more ‘creature comforts’ so Jim bought this in August 2006. 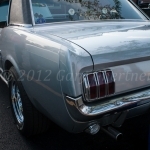 The original color was burgandy but during the restoration the car was repainted silver. 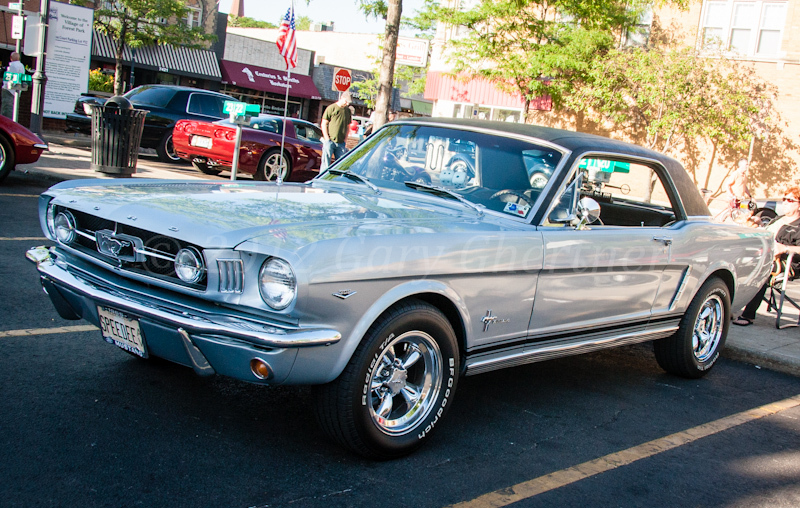 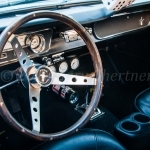 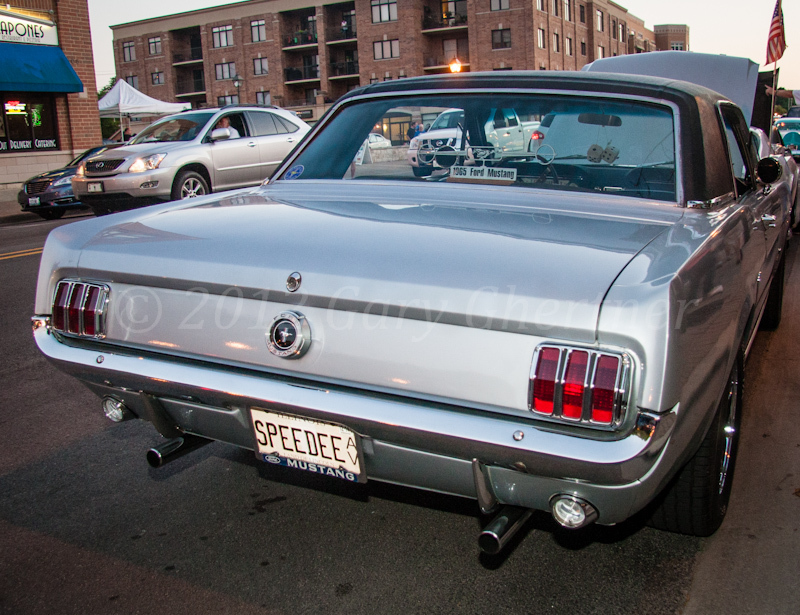 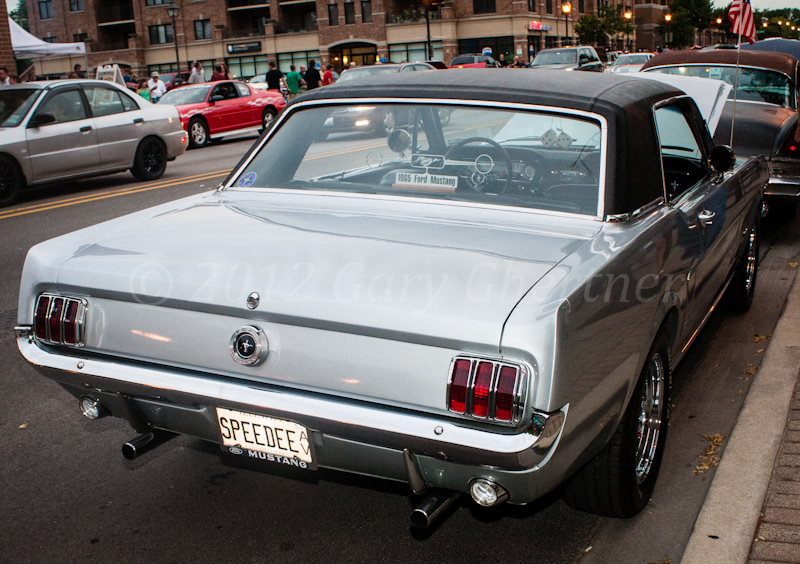 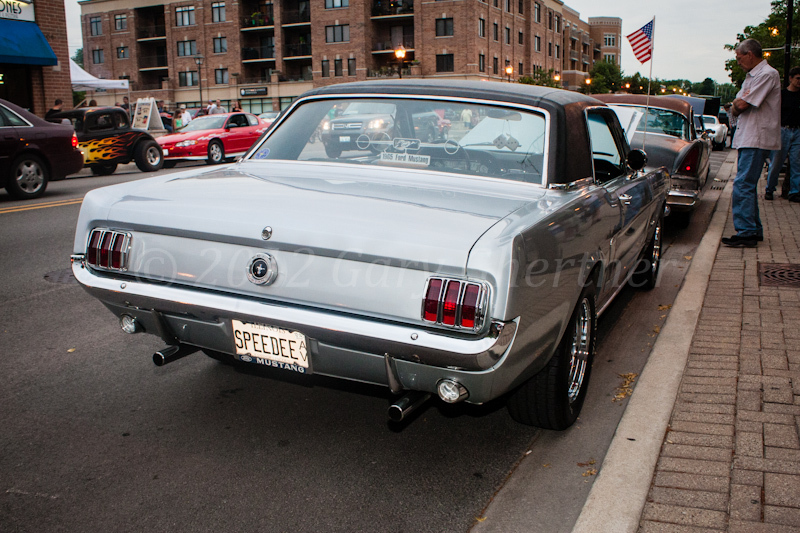 Wilson Pickett’s hit song Mustang Sally revolved around a ’65 Mustang.